Overall, at 3 out of 5 stars, Nature’s Way Fortify Daily Probiotic is a slightly above average probiotic. I like how easy it is to use this probiotic. 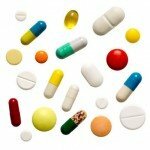 You only have to take 1 capsule daily, either with or without food, at any time during the day. This makes it super simple! I also like that the 30 billion cells are guaranteed potent until the expiration date, as long as you keep it in a dry place at 73 degrees Fahrenheit or below (may be refrigerated). The capsules are also vegetarian, which is awesome, and have a delayed release formula that is meant to resist stomach acid. There are some things that I don’t like abut this probiotic. My biggest issue is that it has 30 billion cells and is meant to be a daily probiotic. 30 billion cells are just way too much for daily use. 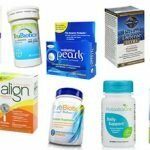 It can end up causing side effects – which I experienced when taking this probiotic. I also don’t like one of the strains used, Lactobacillus Casei, because it has been shown to be aggressive. 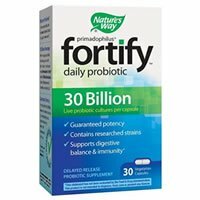 Overall, at 3 out of 5 stars, Nature’s Way Fortify Daily Probiotic is a slightly above average probiotic because it’s easy to take, guarantees potency until the expiration date, and is vegetarian but it has too many cells for daily use, can cause side effects and one of the strains is known to be aggressive. Nature’s Way Fortify Daily Probiotic has 30 billion CFUs in 7 different probiotic strains. Of note, I like the inclusion of Lactobacillus Acidophilus. This probiotic strain has been researched quite a bit. It has been shown to help alleviate symptoms from digestive disorders such as Irritable Bowel Syndrome (IBS). 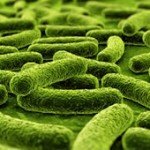 Lactobacillus Acidophilus may also help reduce gas, bloating, and constipation. One of the strains that I’m not a fan of is Lactobacillus casei. This strain is very aggressive and can overrun other “good” probiotics, occupying areas that other probiotics might have taken in the body. Fortify Daily Probiotic is gluten free. This is a huge plus since gluten is a real issue these days. However, the company doesn’t explicitly say if it’s free of any other major allergens. In that case, if you’re really sensitive or allergic to major allergens, perhaps find another probiotic that can guarantee it’s free of those. The other ingredients included are: cellulose, plant-derived capsule (hypromellose, gellan gum), magnesium stearate, and silica. For 30 vegetarian capsules lasting 1 month, it costs $26.99. This works out to be $0.89 per day to take this probiotic. I think this is a pretty good value for the price. I did get side effects when first taking Fortify Daily Probiotic. I experienced belly pain and cramps for the first few days. Thankfully, the side effects went away after that. For the remainder of the time I took the probiotic, I actually felt really good. Keep in mind that 30 billion cells is going way overboard for a daily probiotic. This may cause an increased chance of side effects. Nature’s Way doesn’t have a 100% money back guarantee. 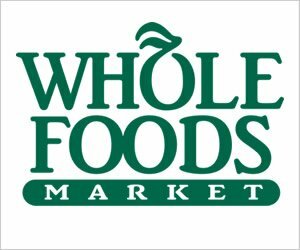 On their website, they do mention that if you’re not satisfied with your product that you can exchange it for a $15 gift certificate towards any Nature’s Way product. To buy Nature’s Way Fortify Daily Probiotic, click here.